This ring has a retro feel about it. 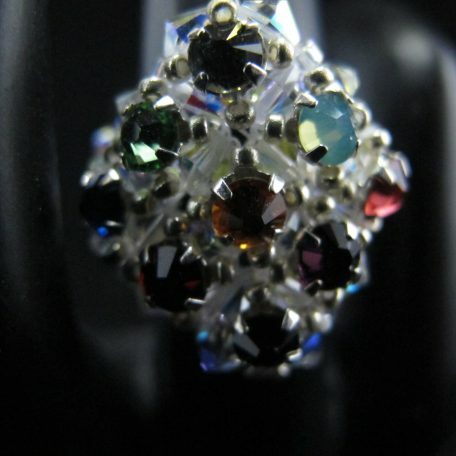 Splashed across the face of the ring are nine different coloured Montees Swarovski diamantes). 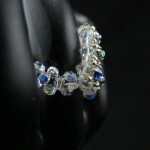 The ring band is made of small Swarovski crystals.